Over the years, I have come to realize that the current wildlife management model in America, at the federal level, and particularly, the state level, is broken. The system is such, in which, politics trumps the best-available science, the special interest-minority overwhelms the democratic-majority and the almighty dollar is more powerful than ethics, heritage and legacy. Can this be found throughout the American political landscape? Of course, the answer is yes. But when applied to the current wolf slaughter taking place in the West, and in the Great Lakes, it fits perfectly. In fact, it embodies it. During my brief time working in the conservation community, I have sadly concluded that both grassroots and national conservation groups, and every-day citizens, are limited to the degree, in which, they can enforce public lands laws, ensure that the best-available science is used and entrust that public sentiment is reflected in wildlife policy and management decisions. Recent examples of this include–with all, unfortunately, taking place in Idaho–are the Wolf-Coyote Derby in Salmon, the killing of two wolf packs in the Frank-Church River of No Return Wilderness by a 21st Century bounty hunter and the efforts of Governor C.L. “Butch” Otter to launch a predominantly tax-payer funded, $2-million dollar independent wolf control board to wipe out another 500-grey wolves. If this were to occur, wolves would be reduced to the bare-minimum of 150-wolves in Idaho (federally mandated), would not be able to fulfill their ecological niche, and most importantly, could be on the precipice of yet, another extinction. The conservation community, and the American people at-large, is now approaching the crossroads. Do we continue to take the band-aid approach (attending public meetings, issuing action alerts, circulating petitions, and filing appeals/lawsuits) or do we step out-of-the-box and confront the root causes of the problem? While some may respectfully disagree with me, or question the feasibility of such a challenge, I advocate for the latter. Restructuring the way state Fish & Game departments operate. Politics: western governors appoint agency commissioners, which essentially, tell the state departments what to do. This is cronyism at its worst. Economics: state departments are mostly funded by the sale of hunting/fishing tags or permits. These agencies are bound into serving the interest of “sportsmen” because it’s the hand that feeds them. Modern funding mechanisms, the application of best-available science and genuine public involvement are sorely lacking in these institutions and it must be addressed. Another option would be to empower the federal government to manage wildlife on federal public lands. Removing grazing from all federal public lands. The “management” or “control” of native wildlife to benefit the livestock industry is ground zero. It is also well documented the damage that grazing causes when livestock infests wildlands. Livestock are non-native and largely responsible for soil compaction, a decrease in water retention and aquifer recharge, erosion, destruction of wetlands and riparian areas, flooding and a net-loss of biodiversity. Grazing enables invasive plant species to proliferate, which greatly affects the West’s historic fire regime. Abolishing Wildlife Services. Hidden within the US Department of Agriculture, is a rogue agency that is essentially the wildlife killing-arm of the federal government. For over 100-years, this federal tax-payer supported agency has largely worked on behalf of the livestock industry and is responsible for the death of tens-of millions of native wildlife. Methods of killing include trapping, poisoning and aerial gunning. Conservation efforts are currently culminating into a potential Congressional investigation of this corrupt agency. Banning trapping/snaring on all federal public lands. We must evolve as a society and move away from this barbaric, unethical, cruel and tortuous method(s) of killing native wildlife. Leg-hold traps, conibear traps and other devices are indiscriminate killers. Over the past couple years, there has been an increase in the number of dogs caught/killed by traps when recreating with their owners on public lands. When is an adult or child going to step into a leg-hold or body-gripping trap? Some states currently require individuals to check their traps every 72-hours, while other states only recommend that trappers check them, at all. No killing of predators, except for extreme circumstances. For example, an aggressive and/or habituated bear may need to be killed after non-lethal measures have failed. Otherwise, non-lethal measures should be implemented in rare instances where there are actual human/predator conflicts. The best available science suggests that predators, including wolves, are a self-regulating species. In other words, predators don’t overpopulate. Instead, their populations naturally fluctuate, as do prey or ungulate populations. We need to better understand and embrace the trophic cascade effect predators have within ecosystems. How do we take that ever-so-important first step, you may ask? We embark on this journey, together, on June 28 – 29, 2014 at Arch Park in Gardiner, Montana. Speak for Wolves: Yellowstone 2014 is an opportunity for the American people to unite and demand wildlife management reform. It’s about taking a critical step towards stopping the grey wolf slaughter. It’s about hope, our collective-future and restoring our national heritage and legacy. The weekend-long event is family friendly and will feature prominent speakers, live music, education and outreach booths, children’s activities, food and drink vendors, video production crews and the screening of wildlife documentaries. On June 28-29, 2014, Americans from all walks-of-life will converge at Arch Park in Gardiner, Montana to tell the government we need to reform wildlife management, at both the state and federal level. With your support and participation, this will be the event of the year in the northern Rockies. Together, we can make history and embark on restoring our wild national heritage. The time to be bold is now. I hope that we can find some practical ways to humanely preserve our wolf populations and stop the continued trauma that we inflict on their packs. They are intelligent animals, this effects them. The 5 keys put goals into black and white, so it is clear what is being said, as is the path to achieving needed change. Thank you. Thanks MJ. I am glad that the 5-keys to reforming wildlife management were stated clearly. They are simply my opinion, based on my experiences. They are in no way complete or the magic pill. These things take generations to accomplish. I hope I live long enough to see a few of them occur. Wonderful article. We are from Illinois and are planning on coming in June. The management is definitely too aggressive. The wolves don’t even have a chance. I believe they need reprotected, and how can they consider delisting them throughout the U.S. We have no population of wolves in Illinois and never will if they do this. Hi Patty. Thanks for reading the essay. An even bigger thanks for planning on making the trip in June from Illinois. We will address the USFWS attempting to delist grey wolves nationwide. Wolves in the N. Rockies would never have been delisted had it not been for the Tester Rider. The common denominator in both situations is the science has never supported delisting. I agree with the 5 keys that Mr. Haverstick expounded on. However, I do not see where any of these “keys” are new. These issues have been debated on this forum as well as many others for quite some time. I admire what he wants to do but I did not see anything “bold” here. He is right though in that the time is getting short and we need to do something/anything to save what little wildness we have left. You stated exactly how I feel. In addition, I am somewhat concerned with what the real purpose of this event is. I sincerely hope this is an honest attempt to help wildlife. I sincerely hope that there isn’t some other motivation that is using the love of wildlife for some other purpose. Rick you don’t know me and I don’t know you but I can assure you that this event will be what it claims to be. It would be great to have you join us that weekend. We need to pack-the-house in order to make the NY Times. Very true Chris. I am not reinventing the wheel with these principles. I am hoping however, that the event is bold, in itself, as I feel that millions of Americans are incredibly frustrated/disgusted/saddened by the wolf slaughter and they need a forum, a stage of sorts to make a statement. This event is in the heart of the monster, so to speak. It’s bold in that regard, too. Hi Chris. I am not re-inventing the wheel as you stated. If anything, I’m just beginning my quest to understand it all much better. The boldness simply comes from trying to put together a festival-type event which hopefully draws thousands of every-day Americans to a place where we can all be educated and inspired by people’s words, etc. We need to empower people to become more informed and better organized. Then it becomes possible for 1 of the 5 principles to occur. Cutting a check to your conservation group of choice does not. Brett, I doubt if you will have 500 people there. There is no way the state fish and game commissions are going to be reformed. Possibly they could be elected the same as the public service commissions. I have a feeling that you and others feel that Montana, Wyoming and Idaho fish and game commissions should have commissioners from all over the US. Elk375. I support stripping state agencies of jurisdiction over any predators. If state agencies continue to manage wildlife, including predators, on federal public lands in the 21st Century, than commissioners can be elected or appointed through a different method and they would be from within the state. But it’ can’t be done the way it is now. Should state agencies be striped of the right to manage predators on private and state lands? Considering that Montana is only 30% federal lands and 5% state lands and millions and million of federal acres are not accessible. If the federal government should have control of predators on federal land shouldn’t land owners have control of predators on their lands. Well private and state lands are a different ballgame. Incentives can be given to private landowners to only use non-lethal measures with actual human/predator conflicts. Otherwise, the idea is to change the way predators are “managed” on federal public lands. Is that on federal land or all land? Is that just mammals, or do fish, birds and amphibians count in this bold world too? I would love to see Montana’s FWP commissions reformed. I would love to be able to have a say in wildlife management as a non-consumptive user. I am ready for reform. Bring it the heck on. Good stuff Big Sky Native. Perhaps, you will consider attending the June 2014 event. Would love to have ya. We should not “reform” these agencies, as they are rotten to the core. But, we can decide (those of us who are sick and tired of hunting, trapping, ranching, fur wearing and all the other atrocities to wildlife), and dedicate ourselves to Abolishing Them. There already is a growing movement to Abolish, not reform, and we must make it happen–for the animals. Fair enough Rosemary. We can reform wildlife management at both the state and federal level by putting an end to things like grazing and trapping on federal public lands. Hope you can make the June event. Much appreciated the composite viewpoint of what needs to be done. “states” was mentioned near the end of the article, but as a reminder, a number of states in the east and northeast a) do not have wolves (but we do have coywolves) and b) unlike many western states we have very few land areas designated as “federal”. Most hunting and trapping is done on either private or state lands. Despite the lack of wolves, we do have coyote wars in the form of “predator calling (killing) contests” which do, unfortunately, seem to be growing in popularity. It was interesting to note that recently here in NY a coyote contest was held near Rochester NY. The weather was severe, so likely that was the reason only 3 coyotes were taken, but 67 red and gray foxes met their demise. What a disgusting “sport”. Hi Gail. You may be happy to know that California is considering banning all wildlife derby’s or killing contests, as you call them for what they are. If they do it, maybe the domino effect will follow. These are good recommendations and very applicable to New Mexico. We have a Game and Fish Commission with a chair who participates in killing contests! Wildlife is important to the vast number of citizens, not just hunters, and our views are not reflected in the current model. Hi Denise. Would love to have Trap Free Oregon and other groups and citizens make the journey and join us in Gardiner, MT this summer! Misery loves company. Good to see your letter in today’s Albuquerque Journal. Wildlife has suffered too long under Game and Fish’s “wildlife management.” We need a new agency dedicated to wildlife protection. Hope you will consider making the long trip this summer to Gardiner, Montana Marc. Yes, here in New Mexico we need to get serious about Abolishing the Game Dept. and its hunter/rancher commissioners, if we want to save remaining wildlife. I have recently gotten some letter into local papers (Journal, New Mexican, and SF Reporter about these issues. I would like to get a few of us together to attend a Game Dept. meeting stand up, & let them know we are not going away and that our intent is to abolish them and start over. brett thank you so much for the 5 key principles, there are not all necessarily new , but they are all being put in black and white once again, and the upcoming event that you are organizing, will be a fantastic opportunity for wildlife lovers to come forth in a peaceful but important gathering. the wolf , an apex predator is a key to keeping Yellowstone, other managed parks, and wild areas of the lower 48 healthy. without them, the beaver disappear, the elk herd over grazes (too many) and the scrub brush, aspens, spruce and many other plants disappear. other prey of the wolf become over populated and over run and cause damage. the ranchers complain of them, but do not try to educate themselves in non- violent ways to control them and keep them from their herds, the ranchers have so much of the grazing land in their control , at a ridiculous price, that they get in the way of the elk’s and others migratory paths. the ranchers of beef and sheep, bring in disease to the wild animals. the trapping and hunting methods have become barbaric. they use recorded calls of squealing pups, hurt wolves, poison, gas, fire, snares , which when an animal is caught in them, it shreds their necks and slowly strangles them or they bleed to death. traps snare domesticated animals as well as species not being hunted. wolves are responsible for less than 2% of the deaths of beef, disease, weather and other predators are responsible for more. these beautiful creatures are icons…. essential to the food chain and a healthy wild….please save them, do not delist and stop the hunting !! Thank you Jessica for reading the post. It’s a grim situation right now and worsening. That’s why I’m organizing this national event. Hope you can join us! Yes, Louise. My essay failed to mention the introduction of legislation like you mentioned. It was implied but it will certainly be on the event website and spoken about at the June event. A grassroots movement will gain the ears of Congress men and women and then legislation can be crafted, sponsored and signed into law. That’s the vision. Great Idea!! I am hoping to attend, but will not have a car when I fly in to wherever I go. I plan to drive from OK. May even pick up a cousin in Billings and drag her along for company. Look for me and I’ll help you out with rides. Brett, I nearly fell out of my chair when I read the first paragraph. Only today I began thinking that an overhaul of wildlife management strategies, particularly predators, may be the only way to resolve the continued conflict over management. Being new to this issue, I’m still watching, listening, and studying. I’ll ask these things about wolves since they seem to be the species that divides the most. What is the true underlying problem with wolves? What goals that you mentioned above are likely to be accomplished? Have they been tried before? If so, what caused their failure? Of the goals you mentioned, which one is the most important? Most likely to be attained? Look at Gail’s comment. That adds a bit of a twist. Would you change your solutions mentioned in any way so it would better incorporate those regions with little federal land? One thing has become a more clear for me. Something is very wrong with the current system of predator management, and the legal use of federal lands. It’s good to know others are on track. Hi Yvette. The problem is not with wolves, of course, it’s a human problem. Not much has changed since the days of Little Red Riding Hood. There is a culture battle going on in the 21st Century: the Old West vs the New West. The political capital mostly lies with the former, where as science, human population growth, demographics and attitudes lie with the latter. Change is inevitable and that’s what this is all about. Those that benefit from the Old West ways don’t want to lose the death-grip they have. Your article hits the nail on the head. Thank you! Off to share it! Hi Nancy. Thank you very much for sharing the article/weekend event with others. As expressed before by countless contributors here, nothing would be so pleasing than to have all 5 items come to pass. But tell me please how do the changes to the state of Idaho happen when they continue to elect republicans who in turn mandate the will of the cowboy friends/club members and 80% of the population vote to make trapping constitutionally protected? As I see it we must be active with lawsuits, education of the young and encourage more emigration from California. We can’t will it done we have to figure out how to pull the props out from under the greedy and powerful. Hi Larry. Thank you for your comment. The recent addition of hunting/trapping using “traditional methods” to Idaho’s constitution was a step backwards on many levels. But keep in mind that state laws do not trump federal laws–when they are enforced. Hence, the banning/trapping on all federal public lands would take precedence. The idea of the federal agencies taking control of wildlife on federal land is new to me. It would mean the feds would issue hunting licenses for those lands and not the state. Unless hunting would be prohibited. That would be a tough fight. A tough fight anyway given that in my experience unless it is threatened or endangered, the feds concede to the states. Already, there are movements for the states to take over federal land. It’s already passed in the Utah statehouse. I think there is a bill granting the state’s authority over federal land running through the US House or Representatives right now. Just the opposite of what we need. Elections are so important! A government that listens in to every phone call and every e-mail is very capable of rigging elections. Big brother knows what you buy for breakfast and how you voted in the last election. I don’t trust any electronic voting machine. Programmers can fix them with ease. The pro Israeli bankers fund and contol our polititians. As payback, our congress sends our young men and women to die in wars for Israel. The first thing newly elected Idaho senators do when they get to Washington is run over to AIPAC and pledge allegiance to Israel. Jim Risch is a prime example. Until we get the corporate money and the Israeli firsters out of our government, we are screwed. As a first step, let’s require that federal agencies take charge of federal wildlife reintroduction programs on federal lands. A fatal flaw in the Mexican wolf program is the feds’ decision to put Arizona Game & Fish in charge. Is it any wonder that they call in Wildlife Services at the behest of local ranchers? It will be a tough fight, but as long as wildlife people continue to be afraid of this fight, nothing will change. Groups who purport to care about what is happening need to get some “heuvos” and stop compromising to ranchers/hunters. They may not “like us” (who cares?) but I tell you, they will take notice. We can’t and should not, be “friendly” with the enemies of wildlife. Wildlife does not have much time left, they need us to Stand Up. I do not see “Elections” as helping the plight of native wildlife. As they say in Psychology, “how has that been working for you”? My answer would be, not very well for the wild animals. Yes MK Ray. Idaho has adopted the Utah land-grab model and is spending tax-payer dollars as we speak to study the feasibility of it all. Sagebrush Rebellion II. So very true, Brett,”both grassroots and national conservation groups, and every-day citizens, are limited to the degree, in which, they can enforce public lands laws.” This is why we are doing a citizen driven ballot initiative for trap free Montana public lands for the Nov 2014 ballot and are counting on like minded individuals and groups to help and support us. It reinstates the voice of the people whom have repeatedly written letters, submitted overwhelmingly opposing public comments, signed online petitions, attended hearings, protested, made phone calls, attempted stronger trapping regulations, and largely been ignored. Meanwhile, the less than 1% of Montanans, the licensed trappers, hold our public lands, which are only 1/3 of Montana, hostage, indiscriminately trapping and destroying annually a reported average of 45,000 wildlife in Montana, plus trapping, on average, 50 dogs. These numbers easily could be a fraction of what falls victim to the reported 50,000 traps strewed hidden and baited across our public lands. In addition to the limited regulations, the hidden nature of traps makes monitoring and enforcement logistically impossible. Truly, there is no such thing as wolf trapping, it is all trapping, knowing and excluding no species from the cruel and inhumane process. We trust we can count on the many to support our initiative. Together we can make this much needed change. The initiative is fair and reasonable, addressing the exceptions for trapping on public lands as well as the means, how, when and by whom. Please commit to helping with our citizen driven ballot initiative,which is facing final approval, in 2 days, Monday 2/10, with Montana Secretary of State office. Action to achieve Trap Free Montana public lands for all animals is needed beyond us talking and writing about it and it is needed now, while we still can! Visit http://www.trapfreemt.org for additional info and to sign up to help. Only Montana residents can gather signatures and only registered voters by law can sign the petition which must be done in person. Thank you Trap Free for all your hard work. Really looking forward to the anti-trapping on federal public lands groups having education booths, as well as putting on a demonstration, at the main stage in June. Thank you Brett for writing this article. I know I speak for many when I say that the frustration grows daily when we continue to hear the ongoing perils OUR American Wolves and Wildlife face, especially with all the devious actions like the state of Idaho are doing. Their goal no doubt is to eradicate Wolves to the very minimum, which is not viable. We exceed normal frustration because we dont know what more we can do to make it all stop! I have been supporting and fighting for the protection and freedom of Wolves for decades. When they were delisted we held our breath on what would happen and what has happened is beyond disbelief, it is beyond ANY thought of violence, abuse, mutilation and killing that we ever could imagine Wolves would go through. IT IS the corruption of local, state, and federal government that no longer do what is right, true and science based for Wolves – only see another creature as money in hand. It is cold hearted. It is a tragedy. Brett says it excellent when he says “The conservation community, and the American people at-large, is now approaching the crossroads. Do we continue to take the band-aid approach (attending public meetings, issuing action alerts, circulating petitions, and filing appeals/lawsuits) or do we step out-of-the-box and confront the root causes of the problem? The above “band aid”approaches do not seem to be doing what we all hoped they would. We do need to confront the root causes. That is when the frustration of what else can we do will go away. Hi Judith. Thank you for sharing your concerns and thoughts on this blog. I am organizing this event to benefit wolves and predators, at-large. I am also putting it together for the American people because they must be given a national stage, of sorts, where they can come together to express their desires to see the status quo changed. I couldn’t think of a better place to have this discussion than the gates of Yellowstone NP. Perhaps, our greatest national treasure and symbol of restraint and wonder. You plan on having this event in front of the Roosevelt Arch in Gardiner which is in Yellowstone National Park. Does Yellowstone National Park allow this sort of thing, are you going to be blocking traffic into the arch, do you need to get a permit. If meeting is going to last 2 days what is on the agenda each day and where will the attendants be sitting, standing or possible protesting. I know that you have planned this and that you and your organization is going to follow all regulations restrictions. Elk – know from the many posts here on the WN site, that you are one of those hunters that care a lot about wildlife. Brett’s gonna have to get a lot more “ducks in a row” to pull off this event and the sorry treatment of wolves out here, should not be the main draw, because all predators are and will continue to be at risk. Jon & Lousie have put together a wonderful approach to addressing it and I hope it’s apart of Brett’s agenda. Elk, are you the person wearing the animal pelt on your jacket on facebook. I did not realize you are also a hunter. Rosemary, I am a hunter and proud of it. I have killed half of the North American Big Game and hunt every year and will continue. I love to hunt elk, antelope and when I have a chance moose, caribou and mountain goat and sheep. If this economy improves I will return to Africa, Asia and New Zealand. I have several mounted heads and a number of European mounts. More than half of the people on this forum hunt or have hunted. Faster you realize that hunting and ranching are not going to be ended, the better you will sleep at night and thrive during the day. There is no way that ranching or hunting are going to be ended. Get over it. Reforming the state fish and game departments is not going to happen, modifying them over time, maybe. Until your ilk has the money and political power nothing is going to change. Wildlife is not going disappear because of hunting or ranching. My picture on Facebook is me with my mule and horse and the cover picture is me standing on the salt flats in Bolivia. Actually, reform of agencies has already began in some states–and others will follow. One might argue that the Rocky Mountain states will be the most resistant to change. Perhaps that is true, but eventually the fiscal situation will force changes for them as well. I have no desire to see hunting disappear–quite the opposite, actually. Faster you realize that hunting and ranching are not going to be ended, the better you will sleep at night and thrive during the day. Maybe they won’t be ended, but some of us hope to bring them to heel in the future. A little more respect and reverence for something other than themselves might be helpful. Hunting won’t end and most people aren’t trying to end all hunting, IMO. Hunting laws will be reformed. We will see a change gradually take hold as people become more and more disgusted with things like coyote killing, “calling” contests, the use of torture traps on fur bearing animals, and this thing called “sport” hunting. Hunting for ungulates and waterfowl will continue unopposed by most people, I think, because killing isn’t a sport, but it is a method to obtain food. I also think there will be a change on the international level. It’s already beginning to happen in some African Nations. As our large predators continue to have their population decrease, and our large iconic species, like rhinos and elephants become poached to near extinction it becomes an international race to save them by changing laws. It’s a slow process, but it will happen. People are already working on CITES to begin these changes. The days of rich men who need Africans Nationals to track and guide big game (they really aren’t ‘game’; they are lives) hunts will become a thing of the past. I don’t pretend that I’ll ever grasp why a man needs to kill a giraffe on the African Savannah to feel like he’s done something manly. Ranching in the West will change, too. If not by the money and politics that protects their government handouts (1.35/head/month to graze? that’s big gov.welfare) then by the chaos in our changing climate. The only thing constant is change, so it might not be those of us that want to see hunting laws reformed that will need to “get over it”. Are you going to tell people that they can not mount the head of an animal that they killed or hang it on the wall. WOW. We really believe there is no justification for public hunting of carnivores but we also wanted the best chance of passing the act so we asked for, an received some very good and thoughtful comments from other scientists, lawyers and wildlife specialists who kindly reviewed the act, some that post here. 1)	Promote the welfare of carnivores by prohibiting cruel and inhumane hunting practices. This includes: Prohibiting penning of wildlife for purposes of training dogs or as spectator sport; Prohibiting hounding (i.e., using dogs to chase) carnivores; Extending the provisions of the MA anti cruelty laws to wild carnivores. 2)	Promote a fair-chase hunting ethic of carnivores. This includes: Prohibiting baiting for purpose of killing carnivores; Prohibiting shooting carnivores from inside a home or building; Prohibiting night hunting; Prohibiting the use of electronic calls. 3)	Require scientifically valid carnivore management practices that serve a legitimate management purpose/objective/goal. This includes: Prohibiting wildlife killing contests or predator derbies; Creating a quota for carnivores; Requiring the purchase of a carnivore hunting tag and creation of a minimum fee for hunting carnivores; Reduce season hunting lengths; Establishing no hunting refuges on state and federal park and forest lands; Mandating training for wildlife specialists that “remove” carnivores for management purposes; Requiring good animal husbandry practices to prevent carnivore livestock conflicts; Creating a wanton waste provision for carnivores similar to other game species. 4)	Require the use of current and best available science in wildlife management decisions of carnivores. This involves abandoning principles that support the maximum utilization or killing of carnivores and requires accounting for the ecological importance of carnivores in fully functioning and robust ecosystems and recognizing their innate social and family structures. This includes: Obtaining scientific research permits without political interference; Recognizing and identifying eastern coyotes also as “coywolves” (Canis latrans x C. lycaon) in order to recognize their mixed species (western coyote x eastern wolf) background; Creating a carnivore conservation biologist position to focus on non-lethal management objectives for carnivores and to study and promote tolerance of carnivores. Carnivores are animals that need to eat meat to survive and obtain food by killing and eating other animals. Carnivores are an intrinsic component of healthy ecosystems. Many species of carnivores inhabit Massachusetts including members of the Mustelidae (weasel), Canidae (dog), Felidae (cat), Mephitidae (skunk), Procyonidae (raccoon), Phocidae (seal), and Ursidae (bear) families. This petition provides the basis for a referendum vote to create a Carnivore Conservation Act in MA to give some of the more maligned carnivore species additional protections and to have management practices (i.e., hunting seasons) better adhere to the North American Model of Wildlife Management’s principle that wildlife should only be killed for a legitimate purpose. The Carnivore Conservation Act builds upon the protections included within the Wildlife Protection Act of 1996 that eliminated body-gripping traps for furbearing species and hounding and baiting for bears and bobcats. However, the 1996 act neglected key protections for some of Massachusetts most charismatic carnivores including eastern coyotes/coywolves, red and grey foxes, bobcats, and other carnivores, some of which may establish future populations in MA, such as wolves and cougars/mountain lions. The Carnivore Conservation Act will protect these ecologically important animals from inhumane, outdated practices that persist to this day in Massachusetts. The petitioners contend that MA wildlife laws, as they pertain to carnivores, do not reflect the attitudes of a majority of MA residents, who believe that carnivores deserve better protections from excessive, cruel and unnecessary hunting practices. The petitioners recognize that healthy carnivore populations are the cornerstone of a balanced ecosystem. MA residents indicated their support to protect wildlife from cruelty by passing the Wildlife Protection Act of 1996 referendum by 2 – 1. This petition aims to gather similar support to protect carnivores under the umbrella of a Carnivore Conservation Act and provides the basis for a new paradigm in managing wild carnivores that is based in acceptance, tolerance, and coexistence. Petitioners believe that wildlife are public trust resources that belong to all of the residents of MA and that management of carnivores must be based on sound science instead of fear, hate, intolerance, or bias. I don’t think any of the positions in this act are extreme, i do hope one day predator hunting will be a thing of the past. Mounting on wall or not doesn’t distinguish trophy hunting from meat hunting. Deer I kill are dead no matter what I do with the skull. I like many of the provisions of your proposed act, but about half of them could be usefully removed, so as to be more attractive. There seems no biology behind contest or not for example, and same goes for minimum cost of tags (it’ll be seen as nit-picking). Calling for science is just vague talk. Less fuzzy is good. Science is not a source of value-judgements. Decision theory requires value judgements. Both sides don’t get that – why would they, since the idea is only 100 years old. Hunting & ranching are on the decline, despite both industries’ effort to inflate the numbers from time to time. Every day, large semi-trucks stacked with hay roll down the highways, taking the feed to ranches, to feed declining livestock herds because there is no native grass left in the South West–due to the livestock industry’ voracious appetite, and the continue severe droughts. This is the reality. Face it. If ranchers cannot make on private lands, tough. No more hand-outs on public lands for them. As for hunting: the big brave hunters should try fighting and killing something that can fight back on equal footing, but that would take some intestinal fortitude. Brett, I completely agree: No more band-aids. Time for a new approach and time to confront the monster, for the monster is out of control. The wolves are running out of time, and grizzlies are next. Indeed, without wildlife management reform, the future of predators and the biodiversity they support look pretty bleak. Wildlife deserves much better, and the American people deserve a wild and diverse natural heritage. I look forward to attending this event. Thanks so much for all of your hard work in putting it together. Hi Joanne. Thank you for reading the post. The war on grizzly bears is approaching–again. This will be addressed in June. I agree with you. Native wild animals do not have much time. Homo sapiens, the Rogue Primate, is out of control, not wildlife. Livestock grazing in the West is a going down now, as Climate Change worsens. Everyday, we see semi-trucks rolling down the highways,loaded with hay, going to ranches, many of which also have Public Lands Allotments,so they even get subsidies for this. In the mountains, soils and trees are denuded due to the increasing mega fires. Wildlife are suffering and starving. Yet, humans continue their usual ecosystem destruction. Now is the time to put an end to the destructive activities that humans have for so long thought to be their “right.” Hunting/trapping is also on the decline, nationwide, despite Game agencies’ efforts to inflate numbers. Grazing is not compatible with healthy western ecosystems, since these “cow persons” have a long history of hating many wild life species. Let us be strong, firm in our efforts, now,to Stop Public Lands Ranching, and Expose the Lies of Hunting and Trapping. The native animals will not stand a chance without us. Thanks so much, Joanne, for your wonderful thoughts. Thank you for reading it Jon. Would love to have you there Ida. The above article & majority of comments are valid. Much of what we are dealing with is ignorance, mythology and human breeding habits. Given todays 2014 politics, I wonder if Yellowstone NP would have been protected today if they had failed to do so in 1872. In parts of Europe, the wolf is making a come back. Currently Europe is more urbanized than the US and it will be interesting to see how this unfolds. Hi Monty. Thank you for replying to the post. In my opinion, there isn’t a shot in hell that a place like YNP would be designated/protected in today’s political climate. It would be collaborated and sliced into many different pieces, resulting in a not-so-wild landscape. Kudos to 1872. But they should have made it much bigger! I know it’s been discussed here several times and apparently doesn’t sink in but #3 seems a little short sighted. Hi Topher. Perhaps you would like to share the ecological, economic, and socio-political benefits of propping up Wildlife Services? Not to speak for Topher, but Wildlife Services does a whole lot more than predator control. They control bird populations around airports (both lethally and non-lethally); they control the spread of wildlife diseases (here in Ohio done primarily non-lethally); and of course most of the non-lethal controls folks here are familiar with were devised and/or tested at the National Wildlife Research Center in Fort Collins (which is part of USDA Wildlife Services). You should also ask yourself how wildlife will be managed in lieu of a federal agency. The answer is: lots of ‘self help’ and private contractors, which means no more summary statistics on wildlife species killed or controlled, no federal oversight, no FOIA request. The phrase ‘throwing out the baby with the bathwater’ comes to mind. Hi JB. You raise some important points. Maybe it would be more appropriate to abolish the predator control program(s) within the agency. Perhaps, reforming the agency would be a better approach. Thank you for clearing that up. It means more coming from someone in your position rather than an average person with an interest in wildlife issues. Perhaps we should ask ourselves this: how should Homo sapiens, an out-of-control species, be managed? Perhaps by Wildlife Services, which is certainly no “service” to wildlife. I try not to get too involved in these discussions. Just making a point. You hit that nail on the head Chris. Paper-tigers don’t coerce people into doing much. first it takes an agency willing to include “terms and conditions” which include non-lethal predator techniques – like liming carcasses, or proper herding, or not herding sheep over rendezvous/den sites. These simple things are not included as terms & conditions of permit on most federal grazing permits. Gathering support for federal managers to being including these and writing the requirement into forest plans – or RMPs with BLM – would be a good target – but it would likely require federal legislative direction on most Forests. Organizing and working with changing the internal dynamic of government has always been a noble goal. However, sometimes the situation requires BOLD actions by small groups of people who target specific events to gain the attention of the government. I’m talking about CIVIL DISOBEDIENCE. Our forefathers saw that the governmental system in their time was corrupt and layered in bureaucratic cronyism. Due course of law was hindered by an internal mechanism that protected the corporate interests and trammeled on the citizens’ rights. I would add a 6th point. 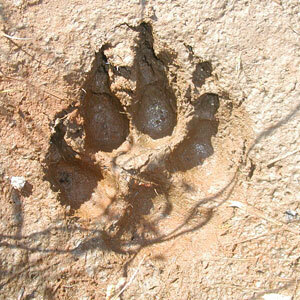 If you want the natural resource boards and feds to be aware that they are on notice, “occupy” these wolf hunts. Hi Wolfy. I can appreciate your comments. I understand the role that peaceful civil-disobedience has played and continues to play in our society and the world-at large. But this family-friendly, non-confrontational and educational event does not promote it. Perhaps this event will help us to clarify what actions we need to take from here on. Clearly, what we are doing is not working, so perhaps at this gathering we will make some decisions as to various ways to act. Historically, most successful movements have had a variety of actions, some more moderate and others more radical. There is nothing wrong with this word: It means getting to the Core of the problem. 1) I think more people recreating in non-consumptive activities, and the money that flows from them, is the real way our management agencies will change. It’s gonna be long and slow, like the movement of a glacier (in the old days). 3) Asking for no Wildlife Services doesn’t seem practical, and no alternatives were proposed. I rather concentrate on the art of the possible than be provocative. 5) Seems excessive to me too. If I want to get people to permit more area to be occupied by large predators that view will be seen as too uncompromising. Black bear hunting is accepted in MI, calling for it to end won’t fly well. Asking for an end to coyote hunting is a loosing strategy. As a rebel, I love a cause, but I’m more interested in results lately. Rork, your comments got me wondering if how we designate ownership of wildlife has a role here. Since no wild animals honor state lines, it doesn’t make sense that these species should be considered state property but rather the purview of all US citizens, ie; the Federal Gov’t. While I’m no fan of big guv, it makes no sense to have 50 different states with 50 different policies on wildlife management. Maybe as a nation we need to revisit this in a more unified policy with primary rights of regulation, and lesser objectives reserved for the individual states. Good point! The last thing wild animals need is for individual states to take over this issue–we are already seeing what happens: increasing slaughter. We must move away from this idea of “ownership.” Humans are really not in charge of this planet–we just think we are. Hi rork. Thank you for reading the post. I am not well-versed in the non-consumptive idea but I do understand the general principles behind it. And it appears, the non-consumptive theory is gaining traction in some arenas, which is good. But I would caution folks that are quick to jump to a funding mechanism state level that does not address political appointments, commissioner representation and their educational backgrounds/expertise, etc. If the non-consumptive idea does addresses this, than double-good. Even though it pains me to say this, I believe conservation organizations need to propose moderate changes regarding the removal of livestock from federal lands, and restructuring state wildlife agencies. The laws that allow grazing of livestock on public lands would have to be overturned and that is not going to happen. Livestock grazing impacts can be somewhat mitigated, however the listing of the sage grouse is now reducing livestock on some federal lands. Another way to remove livestock on a smaller scale would be the proposal of new wilderness areas. There are areas of BLM managed lands that have some wilderness characteristics. The removal of livestock and closing of roads would need to be supported by politicians. The Montana Department of Fish, Wildlife and Parks works with homeowners to resolve problems regarding habituated bears. Most cases of habituated bears are resolved without killing the bear(s). Ranchers are learning practices to minimize wolf depradation. As a former federal employee, I do not recommend the federal government get involved in managing wildife. The federal government is 10 times more bureaucratic and inefficient than state governments. I believe the time to ban trapping and snaring has come and that the general public will support it. Trap Free Oregon will have a petition in 2015. The amount of information pertaining to wildlife interactions should be increased in hunting, ranching, guiding and fishing magazines and periodocals. If conservation organizations are going to have an influence in wildlife management, they must get more information to the groups that are affected. There must be an increased influence in the political arena. It does not take a large number of politicians to support the protection of wolves, it only takes a few important and staunch supporters that will make a difference. Effective lobbying is absolutely essential. I have seen where conservation organizations have taken too extreme (bold) measures and it has backfired. Seizing on the killing of two packs of wolves in wilderness and the coyote and wolf derbys should be highlighted to the American people. It took one man (George Bird Grinnell) 20 years to protect the last bison in Yellowstone and it will take time to protect wolves. Hi Gary. Very well stated, particularly the latter half. Proposing moderate changes is much more politically correct, but I think millions of Americans would say that our political system is off the tracks right now. So why mot be bold, instead? The sage grouse is not listed and Western governors are using every tool in the toolbox to try and prevent that from happening. The fact that Western governors are playing a significant role in the potential listing of an endangered species on federal public lands gets to the heart of Speak for Wolves: Yellowstone 2014. States like Idaho want to cede from the union in the morning and accept tens of millions of dollars in federal subsidies by afternoon. It’s a rip-off. The era of designating wilderness is over. It rarely happens anymore and that may be a good thing. Collaborative efforts on federal public lands erode democracy, our public land laws and result in watered-down wilderness. It’s a crime but that’s another topic. I would argue that the majority of ranchers are not implementing non-lethal measures, nor learning or willing, to co-exist with predators. Yes, there are many that do–the mainstream media poorly reflects on these efforts–but at the end of the day, the livestock industry is steeped in the Old West and their attitudes and behaviors towards wolves and other predators hasn’t changed one bit. The extirpation of wolves and large carnivores from large portions of the landscape is a global phenomenon with broad ecological consequences. There is a growing body of scientific literature demonstrating that keystone predators play critical roles in maintaining a diversity of other wildlife species and as such the composition and function of ecosystems. Research in Yellowstone National Park, for example, found that reintroduction of wolves caused changes in elk numbers and behavior which then facilitated recovery of streamside vegetation, benefitting beavers, fish and songbirds. In this and other ways, wolves shape North American landscapes. Since the fate of the Gray Wolf has been turned over to the states in the Pacific Northwest and the Northern Rockies, hunters and trappers have been driven by a ruthless zeal for a new game animal, and have been no less than brutally cruel. Wolves have been tortured in leg hold traps and strangled to death. Even dogs have been released to kill wolves caught in these traps. There are hunters’ reports of imparting “belly shots” so the wolves would suffer more in their final hours of life. There are hunters who brag about their “Shoot, Shovel and Shut-Up” poaching techniques for hiding many illegal kills. This is far from any concept of Wildlife Management. Since the states took over wolf management in the NW, virtually all of the collared wolves in Yellowstone have been killed. Many have been lured out of the sanctity of the park with recordings of pups in distress and the scent of bait, only to walk into a bone-crushing trap or find themselves in the cross hairs of a gun. These states have abused their stewardship of the Gray Wolf, evidenced every day in their photos and posts on public forums. Little Red Riding Hood is fable, not fact. However, wolves, more than any other North American predator, have been the subjects of extreme prejudice and persecution, which mandates even more protection for them from the federal government, not a complete abdication of the successful Endangered Species Act by the president of the United States and his federal agencies. The Gray Wolf has barely begun to recover or is absent from significant portions of its former range where substantial suitable habitat remains. The Fish and Wildlife Service’s draft rule fails to consider science identifying extensive suitable habitat in the Pacific Northwest, California, the southern Rocky Mountains and the Northeast. It also fails to consider the importance of these areas to the long-term survival and recovery of wolves, or the importance of wolves to the ecosystems of these regions. Given the importance of wolves and the fact that they have only just begun to recover in some regions and not at all in others, I strongly urge you to reconsider the US Fish and Wildlife Service’s proposal to remove protections across most of the United States. Thanks for sharing this well composed comment to Secretary Jewell! Hi Barb. Sec. Interior Sally Jewell needs a wake-up-call for sure. You nailed it Corrine Nugent-Hayes. Thank you for your efforts and passion. I’m curious how closely you would align this movement with the ideas of the ‘Idle No More’ movement from Canada. Hi Mark. I am not native american so out of respect, I think they are not comparable. That movement certainly has been making some noise and that has been good to see. I am not advocating for peaceful civil-disobedience, either. The idea behind this event is to empower everyday people to form a movement, however. Real and big changes do not occur unless there is a strong grassroots movement. I am hoping to light a match and inspire people to do something great. I have been disheartened by the politicians that are supposed to listen to the will of the people. The lobbying efforts from the Cattle Industry, Safari Club, etc. have put a price on all of our wildlife. Greed is the #1 problem, #2 is generational hatred for the wolf. I have faith in folks like you & me & everyone who has voiced an opinion on the killing of the wolf. I think it’s a great idea to have the “Speak For Wolves” rally. I’m glad that you have worked hard on arraigning it. I hope that a lot of folks will come out to show solidarity with us & not only the wolf but for all species that live in this country. You are very welcome ramses09. We want to draw 5,000 people and make the NY Times. Hope you are able to make this festival-type event. The impetus for these proposed changes is clearly the gray wolf. I would caution towards continuing to use one animal to push an agenda. It usually does little to help the actual species (see spotted owls and polar bears) and does little, if anything, for species in far greater need (i.e. the 247 total bird, mammal, reptile, and amphibian species that are endangered/threatened under the ESA). The only people who will support all 5 proposals are those who value wildlife but don’t also hunt, raise livestock or trap. The wolf is symbolic to both its opponents and supporters. Pushing against local culture with what will be received as an anti-hunting, anti-trapping, anti-ranching agenda may only increase the victimization of the wolf. Unless, of course, you succeed. Hi Aves. Thank you for reading the post. You raise some good points, but I don’t necessarily agree with them. Yes this is about stopping the wolf slaughter–eventually. And I went with wolves and yellowstone in the event title because they of the former, but also because they are magnet words. They grab the ear and your attention. However, the event will feature speakers and topics that address many predators, not just wolves. And all the principles behind reforming wildlife management benefit or strenghten democracy, heritage, legacy, biodiversity, ecosystem resiliency and on and on. So this is way more than just about the grey wolf. Therefore, you don’t necessarily have to be a wildlife lover to support or attend this event. Of course, it will attract throngs of wolf advocates and wildlife enthusiasts. Pushing against local culture is an uphill battle and usually a losing one at that. There is a significant difference in this case, however. Public lands belong to all Americans. I never like to use the word belong, when it comes to landscapes or wildlife for biocentric reasoning, but in terms of democracy, the vast majority of Americans do not sport-hunt, trap, or run grazing operations, and are opposed to what is being permitted on federal public lands, wildlife management, etc. So when “local culture” erodes our democracy, biodiversity, ecosystems, etc. it should not be tolerated. This event is going to be educational,inspirational, peaceful and non-confrontational but it is going to draw a clear line in the sand. I have a great deal of respect for your posts but could it really get much worse for grey wolves in these western states? I think this is a great idea — the rally. As much as I love Yellowstone, I have be unable to get myself to use the Park’s north entrance for 4 years now. That is because Gardiner has the stink of politically based wildlife slaughter and government oppression. I hope attendance will be large. Thank you for your support Ralph and thank you for creating this forum, which allowed me to share this event/topic. We are going in to the belly-of-the-beast on June 28-29, 2014. Boldness requires such. Livestock grazing is critical to reducing fire danger in the area where I live near Yellowstone National Park. The grass is several feet high by late July when the grazing begins near my home. One lighting strike with a little wind and I and thousands of others will lose our homes. I see almost no damage from the grazing from year to year. Hi Ken. Thanks for the post. I certainly do not want to see anyone, including you and your family, be harmed by a wildfire. Do not take this the wrong way, but our government, etc. has completely failed, and continues to fail, in addressing sprawl and permitting homes to be built in historically fire-prone landscapes. You happen to live in one. I am not a fire ecologist, but it is well known that having a defensible space around private property greatly helps reduce potential impacts. It does not guarantee anything, of course. And despite all the government rhetoric and mass-media propaganda, wildland fire is climate driven and less determined by fuels. It is also established that the bazillions of livestock that we have on federal public lands is a leading contributor to greenhouse gas emissions and climate change. Methane release or cow farts are changing the planet’s weather patterns, etc. So by saying that grazing reduces fire impacts is like saying that bank robbers reduce crime. We could say similar things about homes in earthquake zones, hurricane zones, tornado zones, etc. In my case, we can reduce the danger by grazing and reducing the abundant, highly flammable dry grass. Do you really want the Government to tell us where we can live? This is private land. So you don’t want the government telling people that they can’t live on a fault line, the side of a volcano, or in the floodplain, or in an area with extremely high fire risk? I would argue that this would be one of the better uses of government. It would protect people, and protect the people’s money (because we won’t spend nearly as much in ‘disaster relief’). Are we certain that is the problem? Is it the only problem causing wildfires? If it’s private land and you accept the risk, do you really want government to step in to protect you and your private property when the risk becomes reality? Finally, someone else is getting to the core problem: we need to boldly challenge, and demand an end to public lands grazing, get rid of the infamous serial-killing “Wildlife Services,” and perhaps, we should even go a bit farther, and rethink the whole concept of “wildlife management” which is merely human control, manipulation, and has nothing to do with natural science: it is a “political science” which encompasses not only politics, but economics. Hence, wild animals have become commodities, resources, to be “used” by humans. I would also challenge the idea of any kind of “lethal control” of any “predator.” Let us also rethink the humanist term “aggressive,” when describing another animal. Is this non-human animal really behaving aggressively? Or is this how this animal is perceived by some humans. It is exciting that we can now, finally begin to “de-humanize ourselves,” our Humanist Ideology, and try to shed these antiquated concepts of other life. We humans have to challenge, rethink our whole system of of how we define the other animals. Wonderful article! Thank you for posting Rosemary. These principles or ideas or even efforts have been around for a while. Many groups have been working on these for years and doing a good job. I would love for more conservation groups to adopt the 5-principles and work on them collectively. Maybe this event will inspire and allow us to hit the reset-button. Many excellent comments to this thought provoking article. New Mexico’s (and other states too) archaic lack of regulations for coyotes, prairie dogs and other non-game species dates back to the 1800s when people did not understand the importance of the species. Promoters of contests and other unregulated slaughtering events are taking advantage of the loopholes in our laws. Killing unregulated and unprotected species just because they can doesn’t make it right. The killing they do has nothing in common with restricted,regulated well-managed hunting based on evidence-based science. It is critical that the USA develop a model based on sustainability, recovery, and rehabilitating the genetic health of the species and lands. And Yes…we do plan to go to Yellowstone in June. Woohoo. It would be great to have you at the June 28-29, 2014 event Elisabeth. Just read the article NM Game and Fish in need of reform by Stephen Capra of Bold Visions Conservation. The great thing about young adults is their optimism. With that optimism comes power via belief that change is not only possible, but inevitable. I think this is one of the things that Brett has going for this event. There may be 5,000 people present; there may be 500. Either way, it will be a success. All of the solutions/goals in the article are huge issues by themselves. Each one has its own supporters, power and politics, and the money that drives the power and politics. It is a lot to bite off, but it must be attempted. Even if it starts small, it will grow. How we’re managing wildlife now is failing. It’s failing wildlife. It’s failing wildlands. It’s even failing hunters and ranchers, whether they realize it or not. I see hunters, farmers, and ranchers as a culture. Those who have grown up with it and for generations have ranched or hunted, that is their culture, their identity. It is their way of life. It’s my opinion that someone’s culture is one of the hardest things to crack. As an American Indian (I was Indian long before ‘Native American’ became popular) I assure you that cultural mores are hard to break. We’re still here; we still have many of our cultural ways even though the U.S. government tried so hard to destroy all of it. It’s just an example of how hard it is to change someone’s culture and identity. That is the way I see the position of ranchers and hunters. The trick, I believe, will be to avoid getting bogged down on a solution without a thoroughly knowing the core of the problem. Once the problem(s) are known, break it down into workable parts, spread it out into sections or groups then join forces. There are a lot of different NGOs working toward similar goals. Maybe some of these NGOs will consider joining forces to work on these issues. Don’t know. Just my 2 cents. Like a snapping turtle; latch on and don’t let go. Would you please “EXPLAIN” how today’s wildlife management paradigms are failing hunters and ranchers, whether they realize it or not. This my mind wants to know. As a farmer perhaps I can answer your question and help to – “EXPLAIN” how today’s wildlife management paradigms are failing hunters and ranchers”. Growing trees and other crops is not as easy as you might believe. The natural predators are essential in keeping rabbits, voles, porcupines, deer, elk and other herbivores either under control or on move. Periodically the local wildlife managers feel the need to wipe out coyotes, foxes, bobcats and cougars in our area. The result is a spike in rabbits, voles, deer and elk camped out on the farm and causing damage with no inclination to move on. As a consequence we have to do extra work to prevent damage. If that is not bad enough, last spring a neighboring property owner was given a permit to trap and destroy bears. The bears were not causing a problem other than occasionally raiding our bee hives but that was easily resolved by protecting the hives. The bears were for all practical purposes innocuous and virtually invisible to the casual observer and the operation of our farm. They were however a part of the native wildlife that graced our farm and were welcome. When a bear was found caught in a trap placed up against our property line, I called the neighbor who agreed that the bears were not causing a problem but he thought a preemptive strike might be a good idea. Wrong!! I called the F & G and after a visit we confirmed the bears were not causing a problem, ie, the permit had just been routinely issued. Unfortunately two well behaved resident black bears were trapped and killed. Within a couple of weeks we started getting damage and within days several thousand dollars of 23 year old trees were destroyed. After spending over 20 intensive years establishing trees only to have them destroyed by outdated “wildlife management paradigms” it is clear to us that those paradigms are not beneficial and probably causing more harm than good. That was certainly true in our case. Hopefully we can avoid being “bearmailed” by the trapper and can find non-lethal methods to resolve a problem that he has created with the complicity of careless wildlife management officials. I suspect our experience is not unique and there are many others with similar stories. Straight from the source. It’s always better to hear from those who are working it. All I can say is I’m sorry you lost those trees. Rich you reply was good and what works in your situation may not work in another’s situation. There was two parts to my questions farmers and hunters. How has the state wildlife commissions failed hunters. I think that the Montana Fish, Wildlife and Parks is doing a very good job. The hunting seasons are the longest in the nation with multiple tags and for multiple species. Early last fall the Montana Fish, Wildlife and Parks along with the Rocky Mountain Elk Foundation acquired a 40 tract with off set section lines in the Big Snowy Mountains in Central Montana. This land acquisition give the general public access to thousands of acres to the national forest. If one looks at the commission’s monthly agenda 40% of the meeting is about land acquisitions. We all enjoy the nations public lands but if there is no access it might as well be private. Is hunting opportunity really the only measure of success in wildlife management? Our deer populations in the Midwest have increased to the point that the deer are doing extensive damage to agriculture, gardens, biodiversity, and vehicles (via DVCs) and still the hunters howl that there are too few deer. It seems to me that many of the problems we have actually stem from agencies’ focus on the production of hunting opportunities–and the benefits are being accrued by a very small and vocal group of people. We would be happy to send you 100 Idaho wolves to solve your dear problem. More if you need them. Ken, what problem do you have with wolves? I’m not being sarcastic or facetious. I just want to try to understand. It’s a one-sided affair JB. Things must and will change. Yes, Elk375, I’ll explain. The wildlife management paradigms that have been used for so long have primarily focused on killing all or most of the apex predators. What happens when they are eradicated? The community changes, and there is a ripple effect throughout the ecosystem. It might take a long to time to notice the changes or for those changes to have an adverse effect on other communities or species, but it will happen. We may not even know what they are or what caused them for a long time. Have anyone ever figured out what has caused chronic wasting disease? If we haven’t figured out what has caused this prion to infect herds could it be possible that it is related to something we humans have done with via our ‘management’ paradigms. That may be a stretch, but it is a possibility. Do we have that answer? The ranchers that use federal land and open range with low lease rates and lax enforcement on herd size may think they are getting a benefit. Are they really? They may not have to worry about wolves (which really only take a low percent of livestock) but when they are eradicated mesopredators move in to fill that niche. The community changes. Get in a plane and kill off all the coyotes and then what? (No one believes that coyotes can be eradicated, but it seems they said the same thing about passenger pigeons.) What happens if the wolves, the lions and the coyotes are gone? Does the rancher call the government Wildlife Services to poison all the rabbits and rodents? We just need things more balanced. I do not have time to reply but my family has owned farms and ranches; I know what is going on and every farm and ranch is different. A balance eco system is never going to happen with modern agricultural, mining and real estate development. If a person owns property he/she should be allow to shoot coyotes, ground squirrels and other varmints at will on their lands. I have to get something out. Really? Any property owner should be allowed to shoot “varmints at will” simply for appearing on their land? What about a property owner who isn’t raising sheep or cattle? Should s/he be able to just shoot wild animals willy-nilly because they are there? Yesterday while driving my kids to day care I watched a coyote hunting in a wetland along side the freeway (near the Olentangy river). It was about 1.25 miles from downtown Columbus. My grandpa considered bald eagles varmints. He shot them at will. Any progress requires just the first step to get the momentum moving forward for positive change. While the ‘5 Keys’ you listed are not the “Silver Bullet”, I agree with all 5 and we must have a guideline to ‘Occupy USF&W’! Having attended CAF&G hearing last week to protect our wolf Journey,OR-7 and witness political corruption fires me up to fight! It is maddening to see the concerns of cattle grazing more valuable than the resurgence of the natural balance of our ecosystem. And the roundup ans slaughter of our Mustangs, again for grazing!? I am excited to meet you and volunteer in June and look forward to standing with my brothers and sisters to ‘Speak for our Wolves’! Hi Annie. Thank you for expressing your passion. Looking forward to you joining us in June for this educational and inspirational event. Congratulations Brett, you have placed a volume of wildlife woes into a single page. I hope everyone that reads this keeps a hard copy and posts it a place that it is seen every day. Mine will be on my home office door as soon as I finish this post. Everything is “spot-on” and I am going to title mine as “The Protection and Preservation of Wildlife Manifesto of Feb 2014”. If any of the “fab 5” are enacted it will protect wolves and all wildlife. Hope to see all of you in Yellowstone. Fab 5. Love it Merlyn. Agreed!! I may attend the event, myself, in June. Would love for you to be part of it Don. We are gonna celebrate predators and talk about reforming wildlife management–they go hand in hand! You are welcome Dawn. Thank you for participating on this blog. There is no lasting solution that is derived from the far left or the far right. Lasting solutions require compromise and agreements in the middle that consider the interest of all stake holders. The “meeting” in Gardiner should involve all stake holders. If not, it will cause a great deal of animosity and will not lead to a lasting solution. There are some great models of cooperation in Southeast Idaho involving our fisheries, power production, and irrigation. All sides are working together for the benefit of all involved. It’s a joy to watch what can be done when you consider the interests of all that are involved. People have tried that approach for over a decade and look at where we are now. No compromise, no public input, just an all out state sponsored war against wolves on behalf of the livestock industry. No so, Ken. We now have over 600 wolves in Idaho. There were none not long ago. Compromise got us to this point. No, I’d say sneaky backroom congressional deals got us to this point. According to those who would like to eliminate wolves, they were never in favor of a reintroduction to begin with, and made this quite well known, resorting to SSS and other hostilities. So now, they have gone too far with killing. Idaho just had a killing derby over the holidays, and sent in an exterminator into the Frank Church wilderness, and is planning on increasing the number of wolves killed for the coming season. Yeah, that sounds like compromise all right – they want their 50% and everyone else’s too! This is going to be a family-oriented, peaceful assembly and the ideal place to have it is at our Nation’s first National Park. Ida, you are correct. They were never in favor of re-introduction, but agreed to 150 wolves. I believe that was the compromise that led to 600 wolves. Idaho did not say no wolves. For about 24 years prior to 1994 when the wolf plan began implementation, Idaho had a Democrat Governor and a Republican legislature. They balanced each other nicely, IMO. Idaho had agreed to work with the federal government with the wolf reintroduction. Idaho was not in favor of releasing wolves, but willing to work with the federal government. In the 1994 mid-term elections (that is the gubernatorial election year in Idaho) the Republicans swept into all offices. They have never given those offices up. Quickly the new Idaho government told Idaho Fish and Game that their personnel were to have nothing to do with the new wolves, period. It was this way for over five years before the governor told them to begin to cooperate. The official cooperator with the feds in Idaho became the Nez Perce Tribe. By the time Idaho Fish and Game got the go ahead to teach, learn, and co-manage the wolves, the wolf program was well on its way. There got to be way more than 150 wolves because that number was not the delisting rule. It was an estimate of how many wolves it would take, but it turned out to ge incorrect. The rule was 10 breeding pairs of wolves for 3 consecutive years in Idaho, Montana, and the Greater Yellowstone — Wyoming. Meeting the breeding pairs requirement turned out to more difficult to achieve than thought. Exactly. I’d add on behalf of the energy industry also. Hi Ken. You are entitled to your opinion, of course. But the Gardiner event is about moving way from pro-forma meetings and exercises and getting some legislation rolling that reflects 21st Century science and the public good. Change is on the horizon. In Idaho, many of the Legislators are farmers and ranchers, as are the Governor and Lt. Governor. You need their support. Compromise may get it. We cannot take an all or nothing approach. We must see both sides. Well Ken, I guess you miss the whole point of this post and the Gardiner event. And 200 years ago, many were slave owners. How many are now? How does a moral issue divide a country thats ‘indivisible with liberty and justice for all’? I very much appreciate this Brett. I myself look at this event as a much over due opportunity to come together to listen and learn from each other on ways we can hopefully make changes and the best way to present these changes to the right people to finally see some much needed change with both Wildlife management and the use of our public lands. I feel that there are still a lot of people that are not even aware of the plight of the Wolves, the management of other wildlife, trapping on public lands, the out of control Wildlife Services, Coyote and other wildlife killing contest, cows and sheep grazing on public lands..the list goes on. How do we get the information out to all these other people that are still not aware of these problems? I do believe since the delisting and hunting of Wolves..more and more people are finding out what is going on and they are not happy…I think the exposure with all the other horrible stuff going on is also making more people aware…How easy it would be for President Obama at one of his State of the Union speeches to talk to the American people on the importance of saving and protecting the Wildlife and our public lands…such an easy task one would think! I read the comment about non-consumptive users…I have mentioned this in a few Wolf related articles under the comment section and have gotten back negative rude remarks by the Anti’s….I myself am sick and tired of always reading from consumptive users that non-consumptive users have absolutely no say on how states manage the wildlife..that only hunters should have a say on how states manage the wildlife and that the wildlife should only be managed only for the consumptive users…They really seem to think that the Wildlife is for them only to hunt and kill. This is something for myself I have a big problem with and why I was interesting in a non-consumptive user fund. I realize it would have to be set up very carefully. They would have to keep the money that was donated in a separate fund for starters. Non-consumptive users should have equal say as consumptive users…State fish and wildlife agencies need to start listening to the concerns of the many non-consumptive users also using public lands…I would be more than happy to donate to a fund like this if I knew my concerns would be listened to. In regards to trapping on public lands….A man stepped into a snare trap that was set on a hiking path in the Gardnerville NV. area on Jan.19th…it caught his foot…his son was following behind him….he also saw several other snares set out. The story is on the Trailsafe Nevada Facebook Page if anyone is interested..there is also a story about three men setting leg hold traps on private property and the owner of that property…her dog got caught in the trap on her own property…this story is also on this page. My goal attending this event is to listen to as many knowledgeable people as I can..learn and get ideas from these people and take what I learned back home and do something with them to hopefully see some much needed change. I think this is a wonderful opportunity for people to come together to listen and learn from each other. I thank you Brett for putting this together. Very interesting proposal and comments. I do not agree with the anti-trapping sentiment (although trapping regulations and equipment restrictions could certainly stand some improvement), but the central problem is definitely the politics getting in the way of scientific wildlife management. (This applies equally to anti-hunting do-gooders as well as rapacious ranchers.) The one rule change should be that only qualified, professional, wildlife managers/biologists should be allowed to manage our wildlife resources. As Leopold informed us so many decades ago, keeping politics out of wildlife management is the key to success. Wildlife scientists see and understand the value of all species in the system and would not support the extreme wolf reduction currently in play. Hiring a bounty hunter to go after PUBLIC resources is disgusting. If fair chase public hunters aren’t willing to go deep into the wilderness to kill wolves to protect more over-grazing elk for the benefit of outfitters, then leave the wolves be and let them “adjust” the elk population to match the habitat resources available. And get the damn sheep and cows off public lands! If you can’t afford to buy your own ranch, you don’t need to ranch! Brett – 4 months to go. Email when you have a moment. Ralph has my email address. There is too much discussion here about “compromise” with ranchers, hunters, etc. Look around folks, what we now see is what very little is left. Millions upon millions of native wildlife were extirpated from The West when the white explorers moved in. Ecosystems declined rapidly even then. 95% of forests are gone. What now should we “compromise” away? Study history: In WWII, “collaborators” decided to “work with” the enemy, because they thought it would be the solution. They even sold out their fellow Jews, helping the Nazis get their own people on the trains to the killing camps. Their motto was “be reasonable” and “work with, compromise” with those on the other side. They no longer considered them as an “Enemy” to fight against. But, guess what? The Nazis were still the enemy, and even the collaborators, those who believed in compromise as a way to solve things, were themselves sent to the gas chambers. Have we not learned anything?